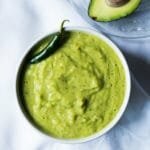 Suuuper Mexican Avocado Salsa Verde ? 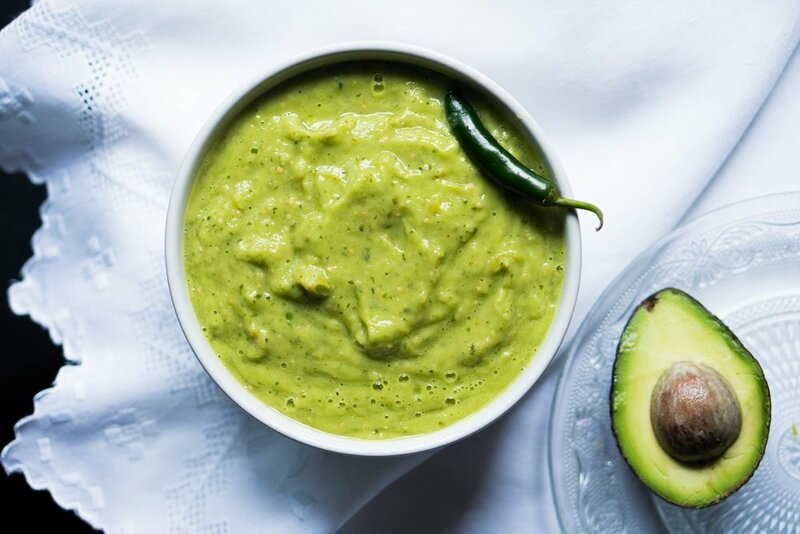 This avocado salsa is based off my mother’s recipe for Mexican salsa verde. A few tweaks later, and we’ve got a killer salsa for tacos and flautas (i.e. crispy tacos). In Mexico, you can generally find avocado salsa verde in taquerias: for tacos and served alongside pork rinds. And if you’ve been to Mexico, you’ll likely seen plenty of them. Perched every few corners, they are distinguished by the kabab-style pork and their myriad of salsas. Red, green and avocado are staples. Incidentally, this is part of the debate on what makes a good salsa verde here in Mexico. Not everyone likes it too spicy. In fact, given that it is added in heaps to Mexican dishes, most people find that salsa verde should not be too spicy. But it’s often not as easy to get right. You see, more often than not, you don’t know how spicy your chili was until you have pureed it into your salsa. So we suggest to always seed your chilis (always!! ), and to add a little at a time. You can always add more after all. While traditional salsa verde is made in a molcajete (mortar & pestle) and ought to be slightly chunky, we like our avocado salsa verde smooth. An ideal buddy for all sort of tacos. ? 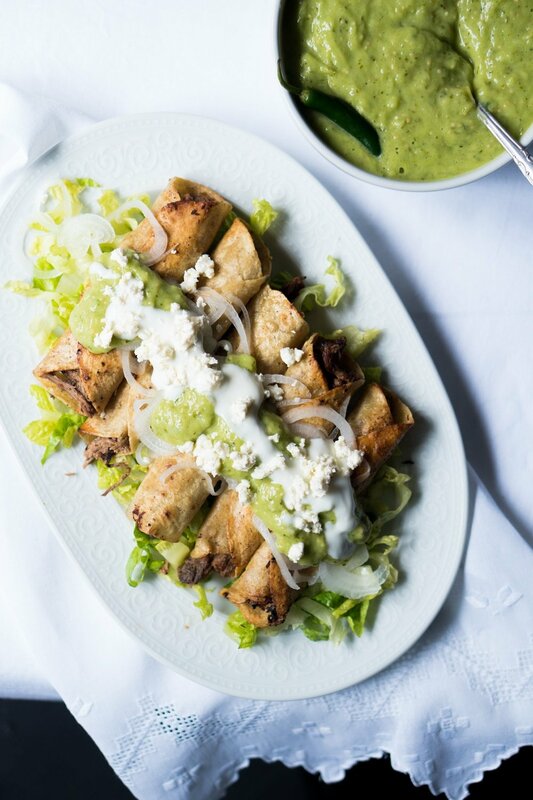 We suggest you start with our suuuper crispy beef flautas. This avocado salsa is based off my mother’s recipe for Mexican salsa verde. A few tweaks later, and we've got a killer avocado salsa verde for tacos and flautas. Add green tomatillos, garlic clove, 1/3 of the onion and chili to a medium saucepan over medium/low heat. Add enough water just to cover, and bring to a boil. Lower the heat to low and simmer for 6 to 7 minutes. Drain cooked salsa ingredients and place in a food processor, with remaining raw onion, fresh cilantro, avocado and ½ teaspoon salt to start (do not add extra water). Process until smooth. Serve straight away, or store in an airtight container in the fridge for up to three days. 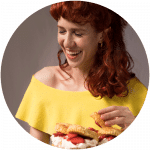 We love this recipe and make it every week! It is delicious with eggs, your flautas recipe, tacos… actually almost anything! I am putting it on hamburger patties tonight! It’s easy to make and keeps for a few days! This salsa, with your tortilla recipe really opened up Mexican food for us on a keto diet!! So can’t wait to try this! It looks delicious! By the way – the link to the beef flautas recipe you recommend to use this salsa with isn’t working. It takes you to an error page. 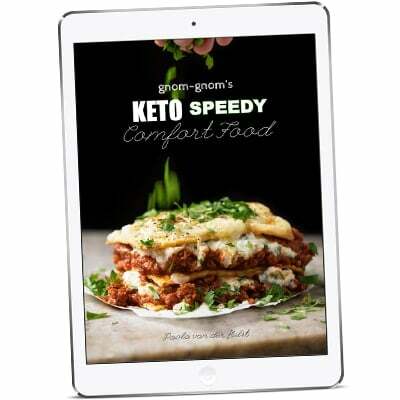 Thank you for all of your truly incredible keto recipes!! !